1. The front panel I cut out of matboard and glued a couple of pages from old books onto it. 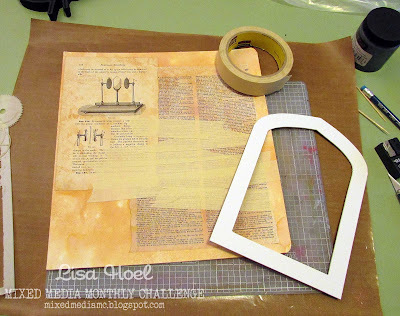 I then added some strips of masking tape and misted with Distress Stains to age it all. I also hand cut an arched "birdcage" form out of another piece of matboard. 2. 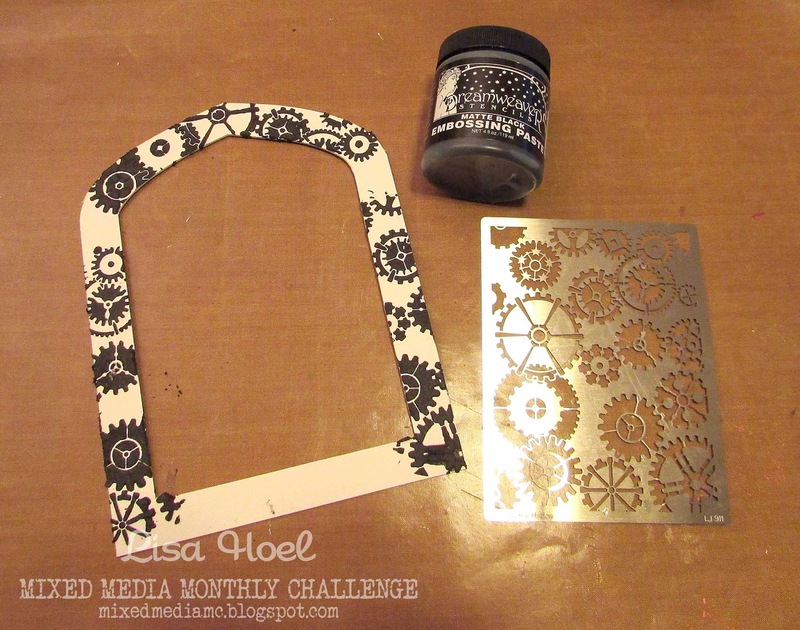 I used the Stampendous gears stencil and Dreamweaver matte black embossing paste to add texture to the arched frame. After it was dry I misted it with Black Soot, Hickory Smoke and Vintage Photo Distress Stains. 3. Before I glued the arch on, I stamped in the background with archival ink and used a stencil and Viva copper crackle paint to add more texture. 4. 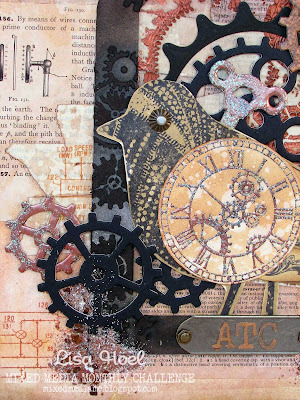 Next came the fun part of adding in the bird and all the gears. 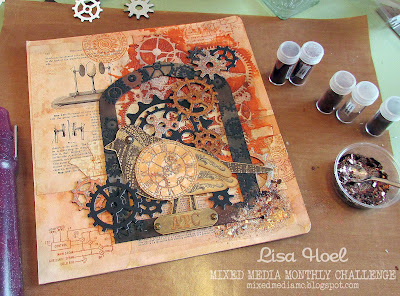 Some I embossed with powders from the Bronze Encrusted Jewel kit, others I colored with metallic Distress Stain. I also used the encrusted jewel technique (see this video) to add some more bling and texture. The Jewel kits are a coordinated set of embossing powders, glitter and mica flakes. You can mix them all together, sprinkle them onto your project and heat them from beneath with a heat gun to melt the powders and "glue" everything down. It's pretty cool! It took a while to melt the powder through the thick matboard but patience paid off. 5. While I was working on the front panel, I decided the standard binder I was going to mount it on needed something too. I covered the front and back with Melange Tissue Wrap, adhering it with Glue 'n Seal. When it was dry, I inked all the visible areas with Archival Potting Soil ink. When I was finished with the front panel, I glued it to the front of the binder. For extra sturdiness, I drilled a small hole in each corner of the panel, all the way through the front of the binder. Long Screws and Hitch Fasteners gave me extra insurance that the panel was never going to pop off. Whew, that was a long post! Thanks for sticking with me. 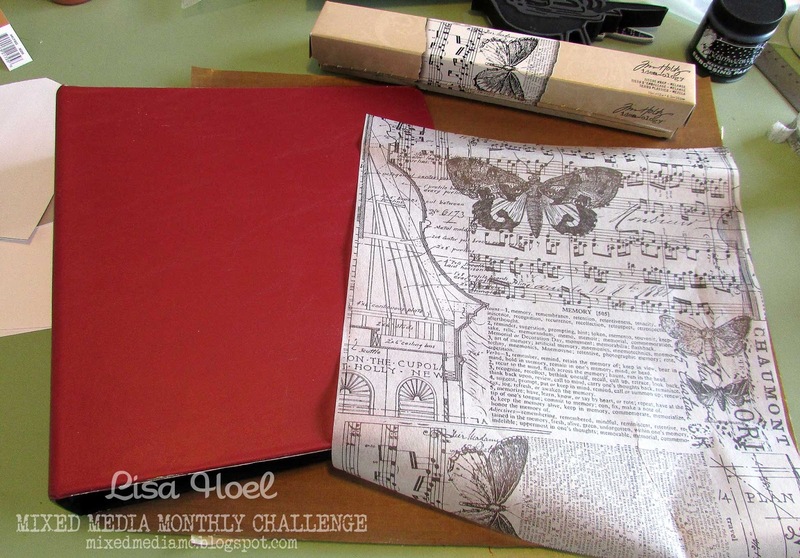 Be sure to head on over to the Challenge post and check out all the inspiring projects my teammates and Guest Designer Fran Seiford have created. Many thanks to our sponsor Stampendous too! 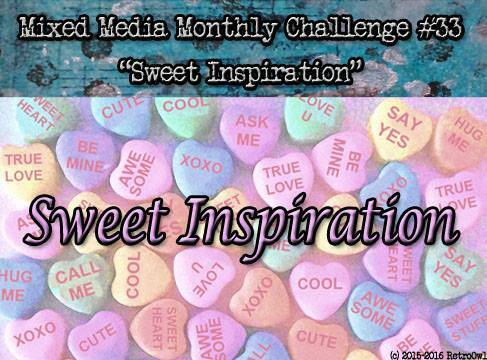 Join in our challenge and you could win a $25 gift certificate! This is a fantastic project! Adorable with so so much detail! 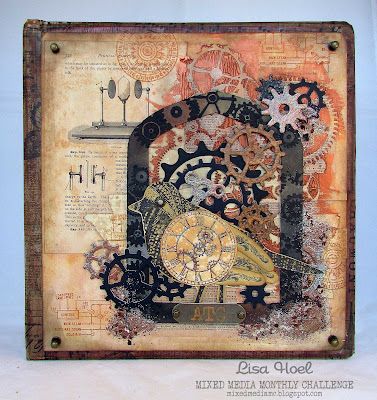 Love me some steampunk too! I love the idea, but have not had success pulling it off myself! Yours is fantastic! 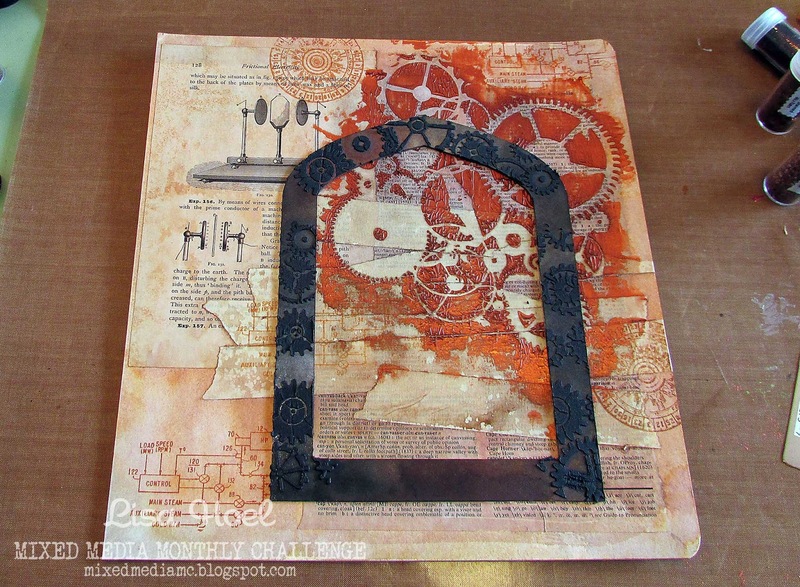 Love that you stamped the frame and those other delightful little bits! What a gorgeous binder cover you have made. I love the steampunk vibe. 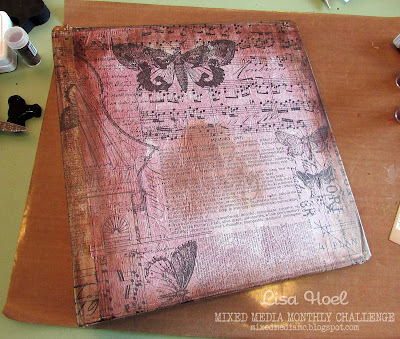 Oh my goodness, your piece as well as the whole notebook is so beautifully done!! Great project and I am not familiar with black paste! Great to see how you made your project! TFS! !